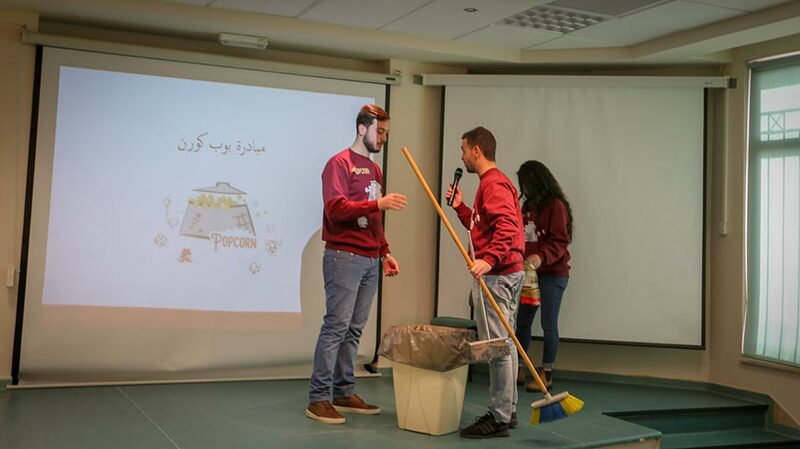 Entrepreneurial Birzeit University students met today, December 5, 2018, to present their social-action initiative “Popcorn,” which promotes community-led measures to solve issues and problems that affect Palestinian society. Popcorn, initiated by the Taawon Organization, was named as such to reflect how the initiative will bring attention to social and community issues - much like popcorn attracts attention to itself when it pops. The initiative’s ambassadors remarked that the name symbolizes students’ energy and passion in addressing issues in Palestine. 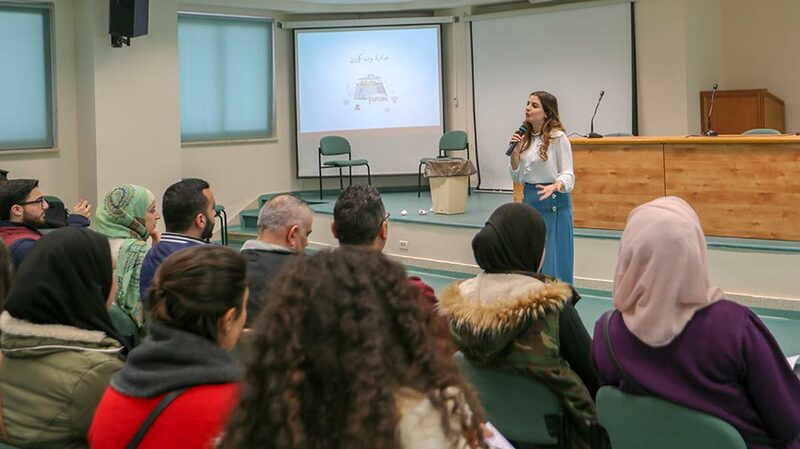 The initiative is hosted in the Innovation & Entrepreneurship Unit at Birzeit University, which provides mentorship and guidance to the student ambassadors to ensure that the initiative is sustainable and impactful. Zuhdi Bali, the Popcorn Initiative Coordinator at Taawon, commented that the initiative helps young people affect change in their local communities and the broader Palestinian community. “It is a vessel through which the youth can voice their concerns and be an active part of the solutions to community problems,” he said. Popcorn is a unique initiative, remarked its student ambassadors. It is an independent initiative by the community and for the community - one that focuses on issues that affect everyone, not only people in a specific geographical area. The first of the issues that the initiative will tackle is that of littering in public streets and parks - a widespread issue that affects all segments of society and negatively impacts the Palestinian economy, the ambassadors noted, adding that any solutions that the students come up with must be practical, economically-viable, innovative, socially-conscious, and sustainable. Jawana Awwad, an instructor in the Department of Finance at Birzeit University, addressed the students, saying that their solutions must be innovative - that is, the solutions must be original and make use of existent resources efficiently. At the end of the session, the attending students played a game of Kahoot!, an educational game that consists of user-generated multiple-choice quizzes.